You may have heard words for highlighted hair like, ombre, foilage and balayage highlights. These words sound fancy, but they’re just words describing techniques of highlighting hair. They all differ in appearance, maintenance, the amount of time spent in the salon, and cost. Each head varies based on what your hair goals are and the look your trying to achieve. Now for the breakdown of each type of highlights. Traditional Highlights – Hair can either be pulled through a cap or placed in foils. Pulled through a cap – A highlighting cap has perforated holes throughout the top, it fits snug on top of the head. Your stylist then uses a pick (that has a hook on one end), pierces the holes through the top of the cap and pulls hair through the cap. Just in case your wondering, no this does not hurt! Once all the desired hair is pulled through, bleach or hair color is then brushed onto the hair laying outside the cap. hair in the foils starting about 1/4 inch away from the scalp. The hair is then folded inside the foil. A head can have a few to an entire head of foils depending on the desired look. Peekaboo – Highlights or lowlights (darker color than your all over haircolor or highlighted hair color) hidden underneath a layer of hair, unforeseen until there is hair movement. Since they are underneath a top layer of hair; as a benefit, you will not be able to see the new growth as the highlights grow out. **Note:Your new hair growing out is called new growth, you may see a prominent amount of new growth within 2-4 months. On average hair grows between 1/4 -1/2 inch a month. 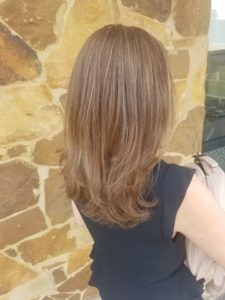 If you don’t want to see new growth, I recommend either trying peekaboo highlights or any of the style highlights listed below. 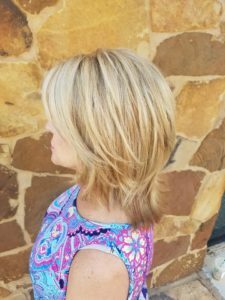 Balayage Highlights – Unlike traditional highlights, balayage highlights are feathered onto the hair. 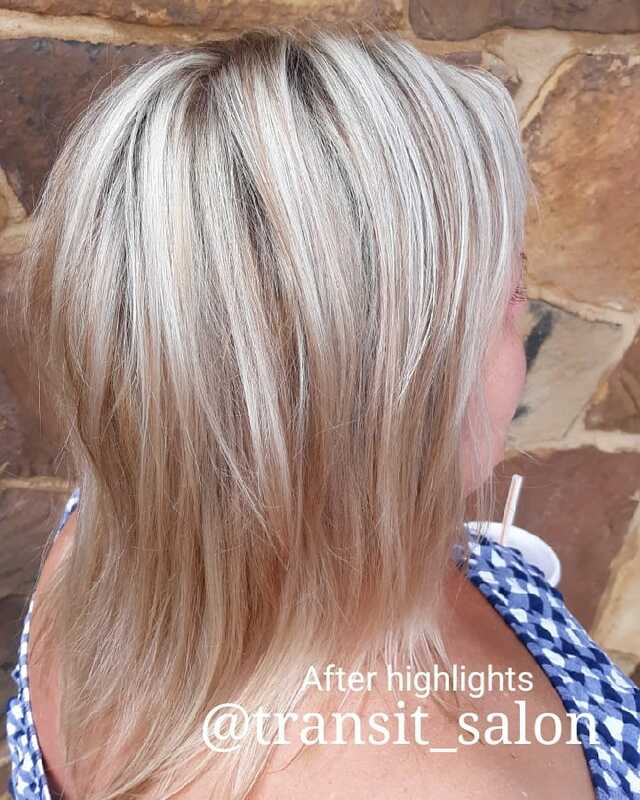 Placement is usually more shattered as it’s placed away from the scalp; opposed to streaks, the highlights don’t appear to have any harsh lines. Ombre – The highlight placement is on the ends of the hair. Foilage – Foilage is a combination of foil and balayage highlights. An important thing to know when changing your hair color is the maintenance aspect, it can dictate what type of highlights you want, how often you go in the salon and how much you’ll spend. When hair grows out, depending on the amount of highlighting and where they are placed, you may see more new growth. Now that you know the difference between highlighting styles, hopefully you feel more confident in which look suites your needs. Cheers to dimension! ← How to use hair products and which to choose?